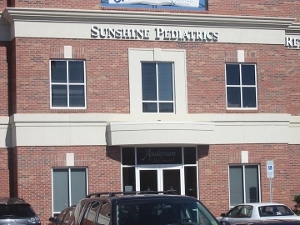 We provide pediatric care for children in and around the Rock Hill and Fort Mill area. We are located off of Herlong Ave. in the Millwood Shopping Center, which is only 1/3 mile NE of the Herlong & Ebenezer Rd. intersection. We're less than 1 mile away from Piedmont Medical Center (www.piedmontmedicalcenter.com). The nearest exit off I77 is exit 82C.